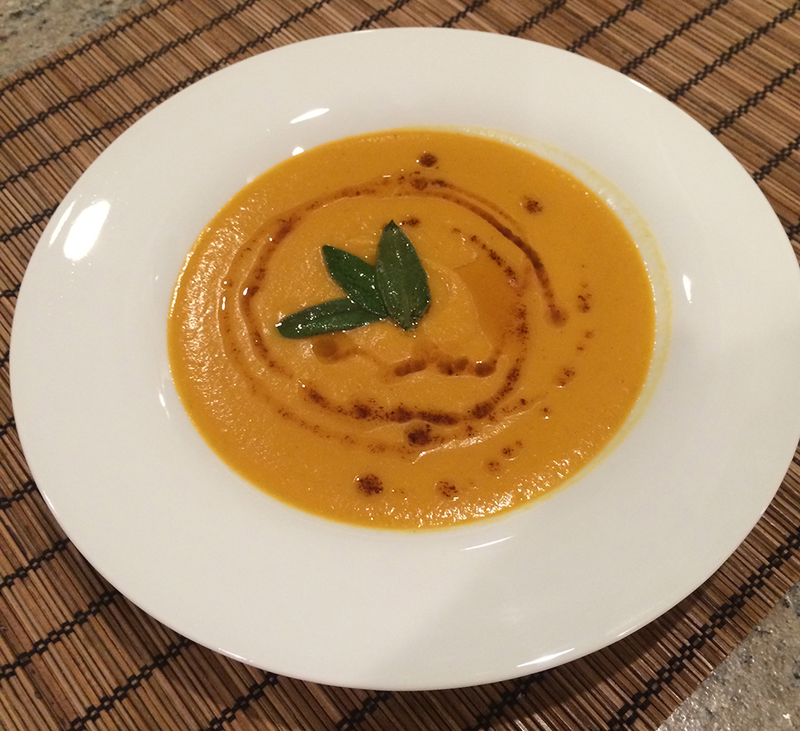 This blend of butternut and pumpkin squash gently spiced with curry is a fall favorite at our house. I prefer chicken broth, but is also delicious prepared with vegetable broth. You can roast and puree your own pumpkin which will add time to the whole process, but is great fun with children – visit this great blog for more details: http://www.thekitchn.com/how-to-make-pum-33705. Melt - but do not brown - 3 tablespoons of butter in a large pot add onion and cook for about five minutes on med low heat until onion begin to turn translucent. 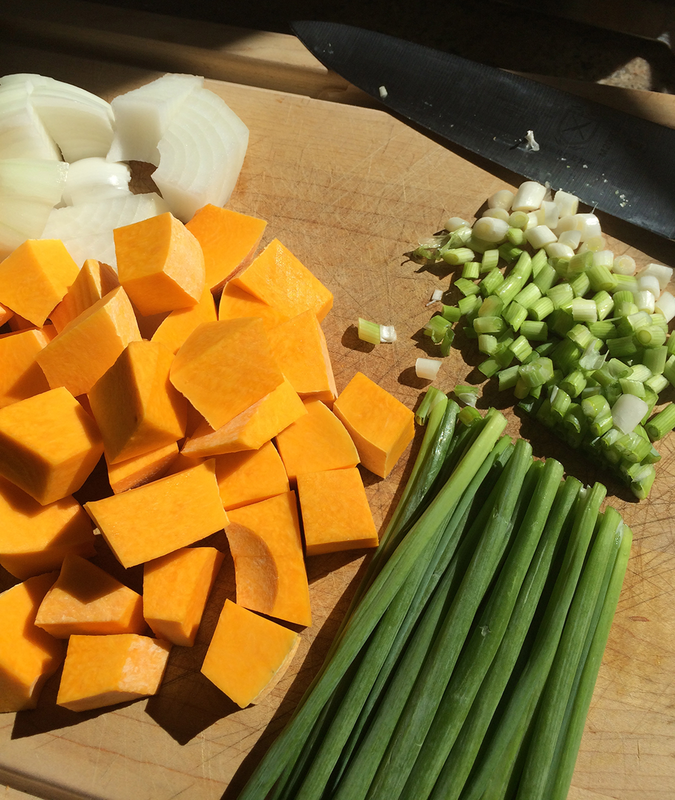 Add butternut squash, scallions, salt and pepper, reduce heat cover and sweat the vegetables for 10 minutes. Uncover, stir and increase the heat; add the curry and cook for a minute, add the brandy and allow it to cook off for a couple of minutes. Add chicken broth, pumpkin puree, rice and simmer uncovered until the vegetables are all very soft – about 25 minutes. Remove from heat and puree the soup in batches. Return soup to cooktop and bring to gentle simmer add heavy cream to taste and correct the spices if needed. In a shallow pan, brown the butter but do not burn and add the sage leaves, remove from heat. Serve soup garnished with the browned butter, sage and croutons.